Tip One: Apply Topcoat to Smooth Out Nails | If your nail polish is getting a little bit old and doesn’t go on as smoothly, apply your usual 2 (or however many) coats, wait for it to dry slightly then brush on a top coat. This layer smooths over the polish underneath so it dries with a more professional (and non lumpy) finish! Tip Two: Scrubby Gloves Are a Game Changer | If you’re sick of having to turn the water off, apply a messy, grainy exfoliator (while getting water in the tub and wasting product) then exfoliating gloves are the way forward. I swear by the ones from Primark (only £1!) to buff away dead skin cells in less than a minute. Perfect for when you want smooth skin in a hurry or as a bit of pre-tan prep! 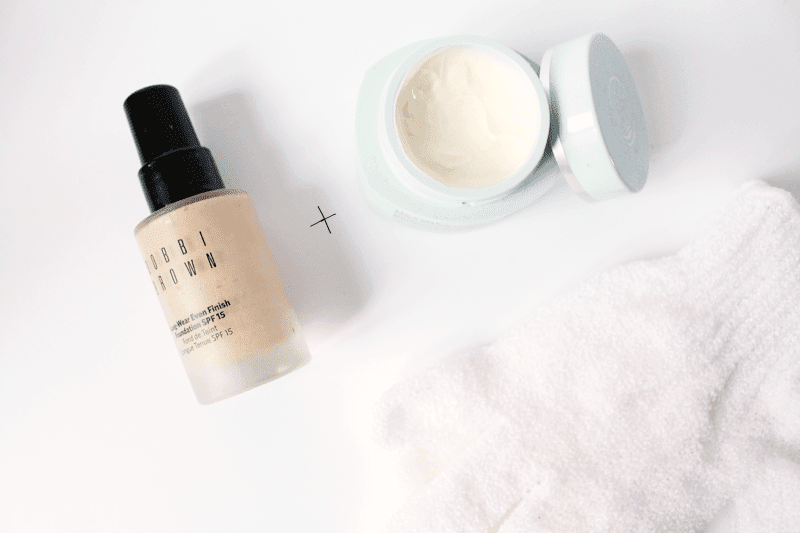 Tip Three: Moisturiser + Foundation = Tinted Moisturiser | This tip is one of the oldest in the (hypothetical) book, but adding a drop of foundation to your moisturiser gives you light coverage without having to apply a full face of makeup. So, if you’re one of those people who is looking at the £30+ tinted moisturisers in dismay, then try the above and make your own! Tip Four: Look After Your Nail Polishes | As a nail polish addict, I try my best to look after them as there’s nothing worse than going to use your favourite shade and finding out it’s gone all gloopy. So, I always make sure I screw the lids on really tightly when I’m finished using them so no air can get in and mess up the polish. Then, before application, I roll the bottle between my palms for around 20 seconds, this mixes the polish up and helps get rid of any air bubbles (I find shaking the bottle up makes it worse!) for a smoother application. Tip Five: Keep Your Water Running | Instead of filling a sink, washing my face and repeatedly dipping my face cloth into water that’s full of grime and makeup, I always keep the water running. I’ve found my skin has been better since I’ve started to do this, as I’ve rinsed any makeup off and aren’t going back over my face with the stuff I wanted to get rid of in the first place. Some may say this is wasteful, but I honestly don’t think it is, as you can turn the tap off in between soaks and it my skin always feels cleaner this way. …And that’s all for this weeks tips! Share yours in the comments, I’d love to read them!